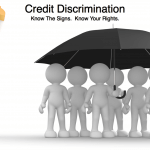 If you feel that you have been denied credit based on discriminatory practices, you have rights that you should know about. Learn how crooks are trying to phish for your personally identifiable information and taking your money. Cosigning Loans – Should I cosign a loan? What are the consequences of cosigning a loan? Should I help my friend or family member by cosigning for them? Do you know what to do if your credit or debit card is lost or stolen?